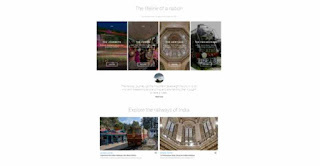 Google has announced a new project which celebrates the history and legacy of the Indian Railways which turned 165 years old this year. The project which is part of Google's Arts and Culture product is a collection of multimedia stories, including engrossing interviews with the people who make the railways tick on a daily basis. The two-year-long project "The Railways-Lifeline of a Nation" is a comprehensive digital record. Along with several railway lines, the project also documents stories of 32 railway employees including engineers, ticket checkers, trackmen, and shunters, through video snippets and photo essays and short stories. It's well worth a watch this weekend and you can check it out here.